�Reality is experience, and experience is reality,� says Hawaiian shaman Serge King, speaking of Huna, the esoteric tradition in which he was reared.King emphasizes that all of us have the ability to shift from one world to another. The difference is that shamans do it purposefully, while the rest of us are unaware of it. He trains us to engage in the process consciously in order to expand our human potential. 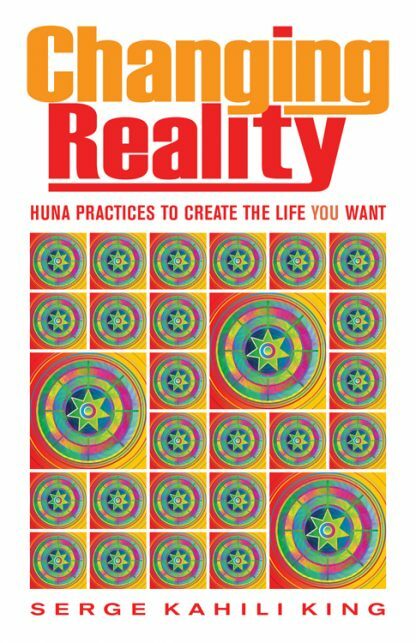 Among books on Huna, this one is unique for offering actual practices for changing our reality to create the life we want. In a user-friendly, conversational style, King�s chapters explain the four worlds of a shaman and basic Huna principles. Then, citing case studies, he guides us in how to change reality in each of the four worlds, bringing in ESP, telepathy, the perception of auras, telekinesis, dreaming, magical flight, and, finally, soul retrieval and the great power of healing.